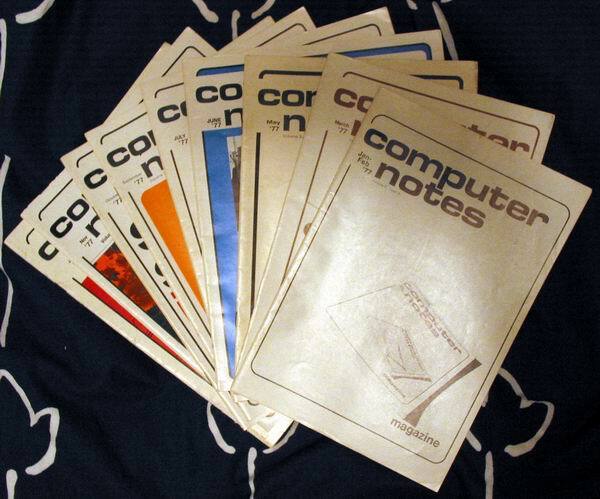 1 12 May, 1976 Computer Stores Across the U.S.
2 3 August, 1976 Lemonade Computer Service Co.
Computer Notes was the official publication of the MITS Altair computer line. A one year subscription was provided to those who registered machines with an option to renew at the end of the free period. The magazine, being a MITS publication, tended to focus on company news, product announcements and technical solutions. I am pretty sure I have accumulated a complete set of this publication. If you know of any issues that I don't have, please let me know! Your Computer Notes Vol. 1 Issue 6 should read November/December 1975 and not 1976. Looks like a typo. Very informative site. Keep up the great work. Sirs, The font you selected @ the top of this page is unreadable. I cannot figure out the last letter in the first name, or the first letter in the last name. 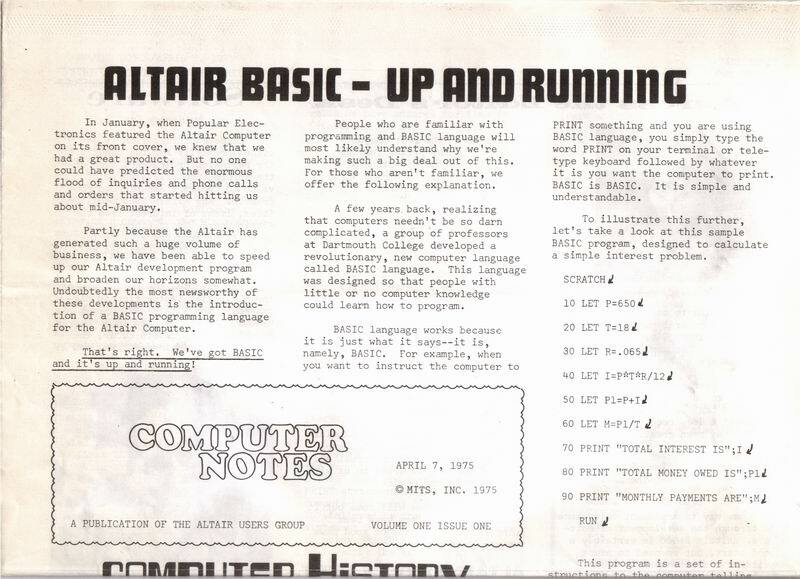 One cannot read the entire article article ALTAIR BASIC - UP AND RUNNING. This article is connected with a piece in The Seattle Post- Intelligencer. This newspaper has an article on page E1 entitled Language timeline tracks company's evolution, under that in a bold face type is the real title: A word with you, please, Microsoft. I am not sure if their link with your website will be visited very much, but I could not see the entire article, and I hope that you could either email a copy to me, or that you could modify your site to let the public read the entire article.